Hollywood has been trying to crack the code on video game movies for a very long time, but the results have been mixed at best. 2016 seems to be marking a turning point in some ways, with The Angry Birds Movie having done very well and Assassin's Creed is looking to hopefully generate a more critic friendly video game adaptation in December. All eyes are on Warcraft right now though, and poor reviews be damned, because it is now the highest grossing video game movie of all time. According to Box Office Mojo, Warcraft is nearing the $380 million mark worldwide and that puts it well above the previous record holder, Prince of Persia: The Sands of Time. What is perhaps most interesting about the success that the Warcraft movie is currently enjoying is that the movie has absolutely tanked domestically. As of right now, it hasn't even crossed $40 million in North America and with a crowded release schedule at the U.S. box office in the coming weeks, it isn't likely to make a make a whole lot more. Prince of Persia was also panned by critics but still made a decent chunk of its change on the domestic side of things, grossing just north of $90 million stateside. The Angry Birds Movie also came very close to the record earlier in the year, having made $327 million worldwide, of which $103 million was domestic box office. Warcraft is proving that domestic isn't only not as important as it once was, it may be borderline irrelevant in some cases. The movie has absolutely crushed nearly every record in the books in China, having grossed $156 million there alone. Yet, domestically, Warcraft is only the 17th highest grossing video game movie, behind a slew of terrible video game movies like both Tomb Raiders. 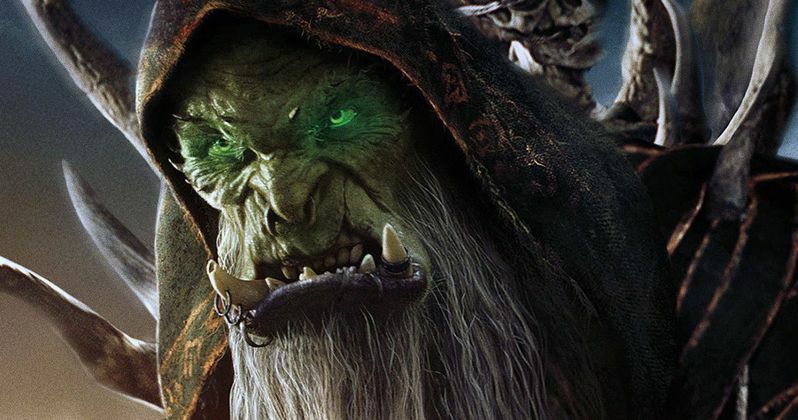 Duncan Jones, who directed Warcraft, spent more than three years working on the movie and Legendary Pictures reportedly spent more than $160 million making it, so it needed to do well. Jones has said that if it did well there were plans for a trilogy and initially, it seemed like there was no chance of that happening, but the foreign markets are probably going to will a sequel into existence. Jones doesn't seem to be shaken by the poor critic reviews or lack of U.S. box office, but did encourage people to make their own decision about it and to relax a bit. "If you loved Warcraft, spread the word, or better yet, bring someone new to see it! If not. No worries, but please chill out. It's just a movie." Another interesting bit to note about Warcraft is that there is a massive gap between how critics feel about it and how fans are responding to it. As of right now, the movie has an abysmal 29 percent critic approval rating on Rotten Tomatoes. On the flip side, it has an 81 percent approval rating from fans, with an average rating of 4.1 / 5. Though Warcraft wasn't the hit some expected it to be in every phase, it is surely going to encourage studios to double down on video game adaptations in the future and to take them very seriously, because clearly, there is money to be made.